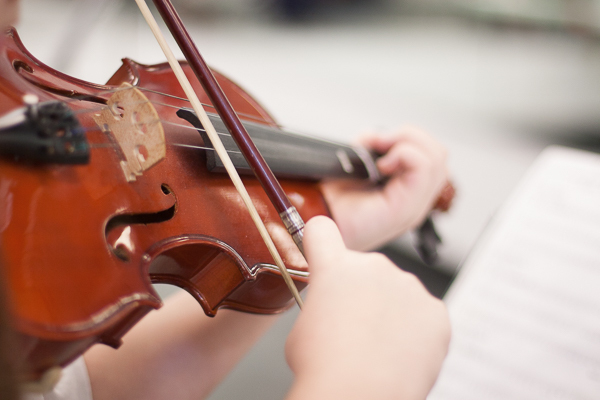 Can Parents help their child learn Viola? Yes! 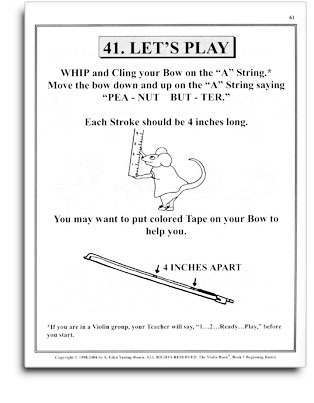 A parent, (even one with no prior introduction to music, or experience with a viola), can successfully work through this book and help the child learn these basics. What about finding a viola and getting the right size? Parents will find the answers clearly presented in detail in the Appendix Section (Parents' Section). The Viola Book is presented in a way to attract and hold young folks' interest. However, as the teaching material contains the important basics used by the worlds very top Viola players, adults find these books a terrifically successful vehicle to use, to get themselves properly on the road to achieving their viola playing goals. Adult love this book series, too! What is the Secret of learning to be a good violist? 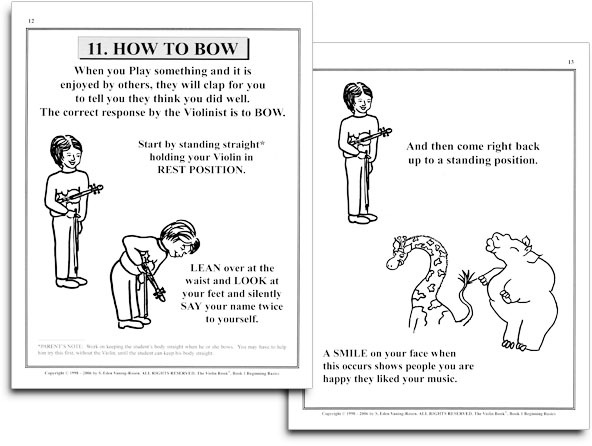 The Secret to learning to be a good violist starts with a good bow hand. It is the energy of the bow hand that breathes the "Life Breath" into viola music. Mastering the bow hand should be learned first. 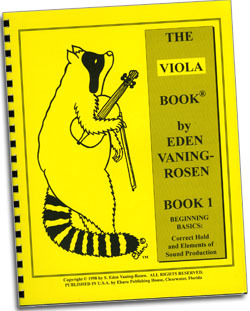 The Basics of good sound production are presented in The Viola Book, Book 1. This valuable book offers you the secrets of bow tone production used by Master Violists in Carnegie Hall performances, broken down into an easy-to-learn, step-by-step format. Viola has a reputation of being a very hard-to-learn instrument. Is this true? With the step-by-step, picture system, students are never overwhelmed at having to learn more than they can easily grasp at one time. The sequence of the learning steps is perfect to keep the student on the path of learning real accomplished viola playing. So, is the viola a hard-to-learn instrument? 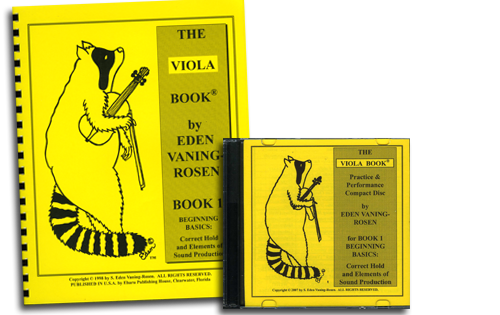 The answer is: Before The Viola Book, it used to be! Find out just how easy it is! Read the following examples from The Viola Book, Book 1. 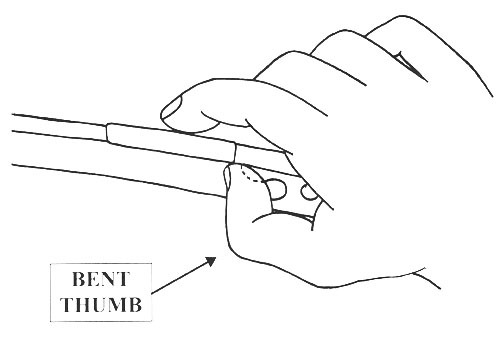 Place the Bent Thumb on the Bow. Can you help your child do the above examples? With the accompanying piano parts on the "Practice and Performance CD", your child will love to perform concerts for his friends. You'll hear an example of everything your child needs to learn on this CD, so you and he/she will always know exactly what he/she is to sound like. 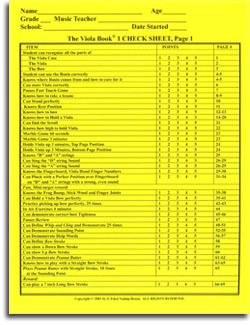 Every book in the Viola Book Series comes with a check sheet that takes a student through the book. The check sheet is "the Teacher", that carefully guides you as it lays out each step, one at a time, and makes following the lessons simple and fun. If one follows the Viola Book Series Program, not skipping any pages or drills, and carefully learns each part, a well taught, confident Violist emerges who has the technical expertise to reach any level of skill they wish to accomplish. The clarity and simplicity of the pictures make The Viola Book a joy for anyone to use! The carefully evolved presentation of the material helps the student walk up to higher degrees of ability of viola playing, all the while enjoying and sharing their talent with others. And you will love the fact that you will learn to create a great sound, right from the start!